In a medical emergency if you couldn’t speak for yourself, who would speak for you and make decisions about your care? Would they know what to do? 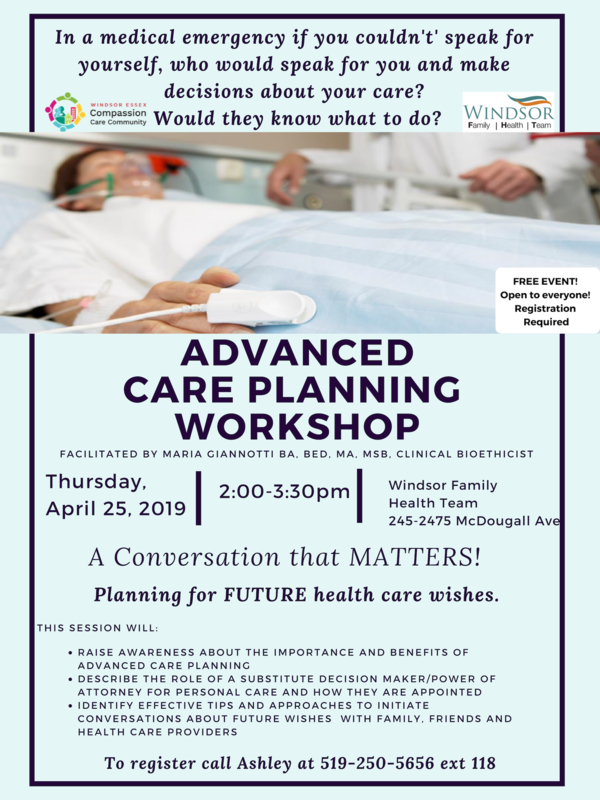 Facilitated by Maria Giannotti and in collaboration with Windsor Essex Compassion Care Society. Planning for FUTURE health care wishes.